Bank Safety Module - Framedia Inc. : Framedia Inc.
Our client has been closely monitoring the training behaviors of incoming new-employees, mostly consisting of fresh graduates, and have decided to append their current training practices to be more engaging and effective for the increasing volume of Millennials in the workforce. 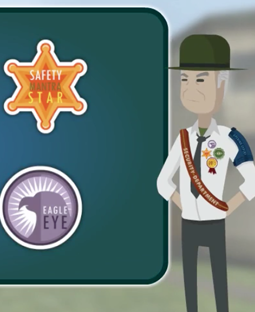 We developed a series of e-Learning modules that includes gamification and microlearning to align with the training behaviors of new hires to improve information retention and engagement for continuous learning. Our Tasks: Storyboarding and Script Writing. Graphic Design and Animation. Module Development. Voice Over. We would gladly answer any of your e-learning questions, please feel free to send a message below. We care for your privacy, the information you provide will only be used for marketing purposes and will not be used for anything beyond that.